As announced last week, HP BladeSystem Matrix is the world?s first adaptive infrastructure that is simple to buy – delivered as a wire-once, pay-as-you-go, easy to install Adaptive Infrastructure, helping speed time to service delivery without chaos. 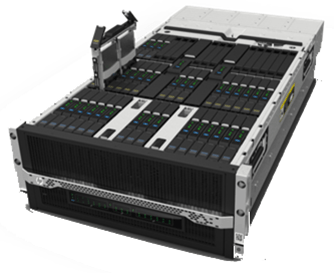 Read the new IDC white paper, HP BladeSystem Matrix: Enabling Adaptive Infrastructure, which endorses HP’s vision and next evolution in its blades portfolio with the introduction of HP BladeSystem Matrix. By converging servers/storage, networking and management to produce a virtualized infrastructure, customers can now optimize IT capacity while ensuring predictable delivery and service levels.